Published on 12 June 2012. It seems I forgot to take a photo yesterday… oops! 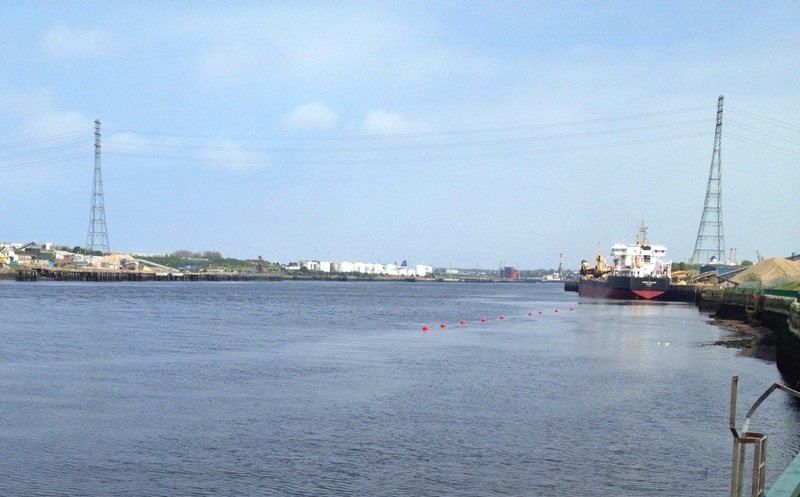 Instead, here’s one of the Tyne from South Shields, including some totally massive electricity pylons carrying cables over the Tyne at a height that allows huge ships to pass beneath. I don’t think I’ve seen pylons as tall anywhere else! This 1,683rd post was filed under: Photo-a-day 2012, Newcastle-upon-Tyne, South Shields.